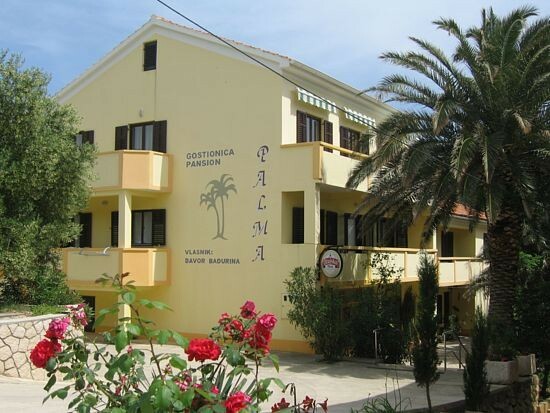 Boarding house PALMA in Jakišnica is situated in the little bay on the west coast of the Island of Pag, 12 km remote from Novalja. All our rooms and apartments include spacious balconies (majority of them with the sea sight). Our arrangement offers possibilities of breakfast serving, bed and breakfast or alla carte to be agreed. Boarding house PALMA possesses berths for skimmers and it has also ensured parking places for all our guests made available. Boarding house surroundings is suitable for children, for the reason there is a lot of room for children to play.